Here is some practical information of Seafloor Control jigs in comparison with each other as I understand and use them in the field. And I have had it double checked with Seafloor Control. Messiah swims the most when given a strong punch. 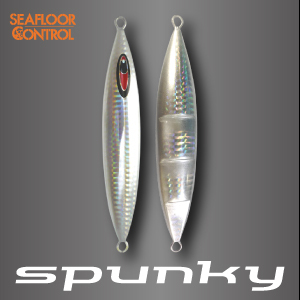 Spunky does so well too that it can be used with a high pitch rod. 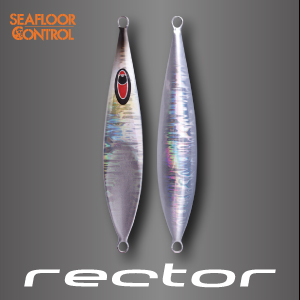 Rector is such a versatile jig that can be used both in high pitch and in dead slow or long-falling actions. 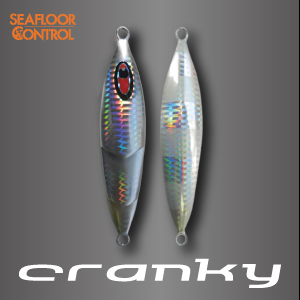 Cranky is more like a falling jig than Rector. Easy to control. Gawky doesn’t swim. That is why we love it around the rocky bottom. Messiah is the fastest to fall to the bottom. Its back sliding fall property is what makes Messiah such an unique long jig. Spunky and Cranky are also fast in falling. Spunky falls more regularly and it’s faster. Spunky is mainly used for its sliding, horizontal movement property. Cranky shows different irregular patterns. Gawky simply wobbles to fall. Medium speed. Rector are slow to fall, mainly because Rector rocks like a falling leaf. 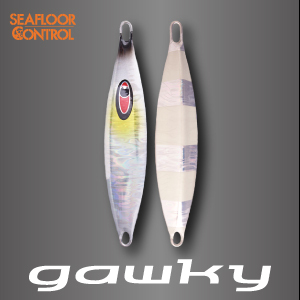 GAWKY is one of the first and the best long fall jigs. It’s the specialist. It’s not meant to lift fast. Lift slowly, softly and simply drop. Try to lift slower than its falls. Keep in mind that it doesn’t slide sideways so that the movements is basically simple up and down. It’s easy to use around the structures. It also means you don’t want to spoil its falling properties by brash uplifts. It’s also a characteristic of Gawky that it can be used in the same manner no matter how shallow or deep. RECTOR is a versatile jig. It follows well to punchy uplifts and falls slowly like a leaf. A great pilot jig to try different tones of application to see what works best. Not wise to use in strong currents due to its slow fall speed. But in the deep area, where the water pulls the jig down and the rod can’t kick it up, Rector works well with a simple lift and fall. Because as soon as it falls, it slides on its side and performs nice falling actions. There’s so many techniques you can practice with this jig. 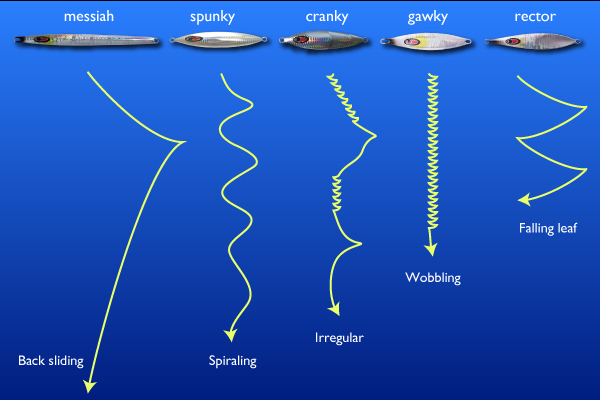 CRANKY is a fall jig with different irregular falling actions, designed by Norihiro Sato himself. Unlike Gawky, it’s also very responsive to uplifts. Even though it doesn’t slide to the side at the pitch, Cranky follows lightly to uplifts and lies on its side quickly for all the falling actions to follow. Irregular falling actions automatically perform “the change of pace” that triggers the fish to react. It’s nice to make many small hesitating uplifts to the top and then let it fall all the way down. 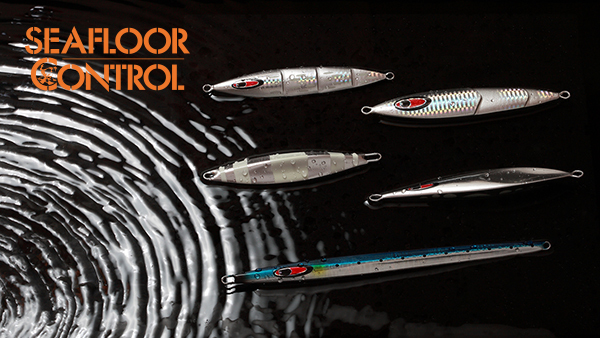 It’s fast to drop, making this jig very effective in strong currents and complex currents. This is still a new product and heavy weights have not been in production yet. The heavy weights have been very much longed for by many deep sea jiggers. SPUNKY has a slim body that cuts through the water. At the punchy uplifts, it slides sideways in light energetic movements which is very attractive to the fish with good swimming ability. Focus on punching each pitches with good intervals in between. Spunky can slide for a pretty long time, followed by natural falling actions. It’s important not to interfere its natural movements. Keep in mind that the movements are more horizontal, it can stay in the same depth longer. When the fish is not active, you may be able to switch them on with the energetic movements of this jig. Great to work in strong currents and in complex currents too. 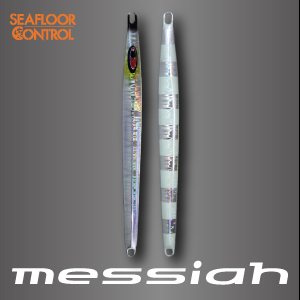 MESSIAH is an ultimate sliding long jig. Sometimes high pitch makes it slide even 2 or 3 meters to the side. Even when you are in diagonal alignment with the jig in the shallow area, it still slides so well. One of the characteristics of this jig is that it falls backwards and diagonally, while most other long jigs fall straight down, to which fish may lose interest. The long sliding and diagonal fall makes the whole sequence smooth and natural. When you mean to go after a big one, always get this one ready with a high pitch rod. You can find a video of high pitch demonstration in the gallery. Because of its slide-falling actions, Messiah is sometimes effective in slow pitch as well. Use it in a standard setting with Slow Jerker, and focus on falling. 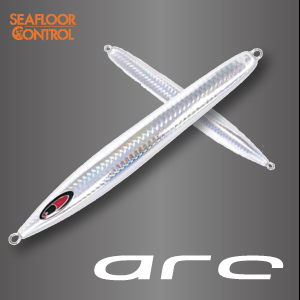 ARC is a semi-long jig. It works in high-pitch, slow-pitch, and long-fall as well. The years of field tests show that it works great in medium action tone for runners like AJ and yellowtail. And it also works great in very soft action tone for delicious but ever cautious deep sea fish like blackthroat seaperch. When you are on a free-drifting boat and have hard time to stay vertical, you can count on this jig. Fast to fall. It is designed to work in super deep water, in a lot of water influence. It works well in strong currents. When given a strong impact, it’s got the shape that carries the momentum to go far to the side. Also when falling, the center-balanced semi-long jig does a lot of flashing and spinning rotations, hence, it draws a lot of attentions. 200g, 230g and 260g have been approved by Sato Sensei, and now on sale. But he hasn’t given a go to other weights yet. They need more fine-tuning. ABYSS is a medium size jig with a little fat body. It looks small for its weight. 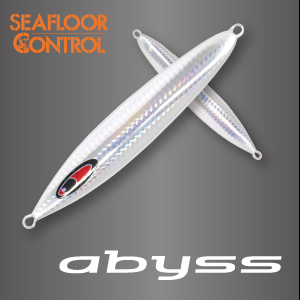 ABYSS is the latest Seafloor Control jig in 2015, yet is probably the most versatile jig that follows the angler’s actions in details. If you give punchy actions in strong tone, it will jump to the side and swim on its own. If you give soft small actions, it will lie on its side right away and start falling. If you give free falls, it will fall in various actions like a crippled bait. If you give a little tension to the fall, it will fall tail first and fast, like a bait fleeing for cover. It works great in currents and in the deep. The rod and jig match is just a point of reference to perform the jig’s most characteristic properties. You should be flexible to change the relative balance to lighter or heavier, at least 1 or 2 jig sizes, according to your tactics and sea conditions. Evergreen Poseidon series as the rod reference is considered the best slow pitch rod. One of the advantages is that each Slow Jerker models perform well in such a wide range of jig weights. If you downsize or upsize by couples of oz, or if the water influence of the current and the depth changes, it still works as strong and as slow as it’s supposed to. In slow pitch jigging, generally speaking, you use double the size of jig to the depth. In 50m of water, 100g class. In 100m, 200g class. But it all depends on your tactics and the water influence. For example, purposeful use of 260g Gawky or Messiah in the 50m deep has proven to be effective for giant groupers in the shallow area. As long as you are aligned in a straight vertical line with the jig, it works. If you are letting the jig fall, you don’t retrieve and bring down the rod slowly as the line goes down. I’d like to give just a little tension on the line. Just enough to listen. There’s usually wind that pushes the line a little. I use that to give the little tension and not to get the line tangled with the rod guides. It’s when your rod gets ahead of the line that the line tangles with the guides. If I bring down the rod fast and get the line slack piled on the water , I find it easy to get the line to catch the guides, hard to listen for any contacts, and hard to get the rhythm going in your action sequence. Hope it clears out your question. In this segment, I would like to know how the SFC Scout works. The actions and best way to work it and in what conditions. Many thanx. I have a FB post about Scout. It’s a specialized jig for bottom bumping. We try this jig sometimes when the fish is not active and the fishing is slow. Hi Jesse. Welcome to slow pitch jigging. So you are on spinning. So your action will be faster. I will send you an email. This will be a personalized suggestion for you. Let’s discuss over emails. – How is your boat operating while fishing? Free-drifting? Drifting with sea-anchor? Or controlled drift by the captain? – What reel and line are you using? Standing by for your reply. Hi!I have evergreen poseidon sj -3 and saltiga 15hlsj.1.5 shimano ocea 1.5pe braid.Fishing depth 30-120m.Target fish amberjacks,king mackerel and grouper.Need your advice for type of seafloor control jigs and their weight. I have just started to try slow jigging last weekend for the first time. My setup is jigstar 603-4 rod with jigging master wiki 900h reel and pe3. I used 80gram cranky and 180gram rector in orange. Fishing in about 40-50meters. Had really good results on the rector catching a few snappers, how ever not even a touch using cranky, also found the rod the punch it up way to hard. Any tips on how I can control the jigs to achieve a more fluid motion? As my rod tip almost seem too stiff compared to your videos or am I using to light a jig? The jig weight is just a part of the total balance. Also not just the depth, verticality is also a big part of the total balance. It’s hard to generalize your condition to make a suggestion. But 80g is probably too light if you are free-drifting. 603-4 is a good choice. Try anything from 150g to 230g. @edward are you from new zealand by any chance? assuming so because of the gear you are using. i am from new zealand, i find even with a good sea anchor and good conditions I rarely use jigs less than 180grams, in the best conditions and shallow water, i will go as low as 130. But generally I use 180- 250g. Slow pitch jigs less than 100 grams are no good in my opinion, to hard to control. Yea mate i am, usually fish in the hauraki gulf in Auckland. You’re definitely right about the jig weight, i have had good success with 180g but pretty much no luck with sub 120g. Hi totos Can I use phpj410 for 600-900g jig . 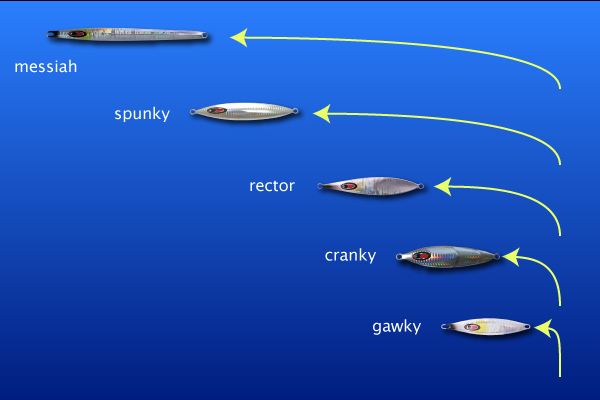 I plan to use spunky and rector for depth 240m for grouper jigging. Yes! It’s a good strategy. You need a highpitch jerker to move your heavy jig in such depth. Want to ask where to buy that jig mention above? how much each? i preferred 200g and 240g. I’m using OH 2017 2001NRPG OJ Shimano ? This is a spinning set up. I recommend overhead slow pitch setups if you want to learn slow pitch jigging. I’m not saying your setup doesn’t work, but I don’t know how to answer your question. Maybe you will learn more from this site. If you ask more specific questions, I can give you more specific answers. Absolutely loving this site – it’s my bible to jigging. Just want to ask you for your opinion if I may. I don’t have slow jigging gear, I use regular spinning jigging rods which are parabolic but stronger than slow jigging rods. Although my rods aren’t made for slow jigging do you think I can give messiah and gawky a try? Because of this site, I planned a trip to go to Okinawa in July and try jigging there. I usually use very regular jigs that are easy to get in my area, namely, Shout! Lance and Shout! Stay. I like to jig the several fast darts and then sweep slowly and use several long falls (without tension). I really like jigging long fall. Do you think that would work in Okinawa? I guess, my final question which bothers me a lot is whether, I can work slow jigs with spinning gear? Although, my hands are itching to buy a full set of slow jigging gear I am not ready for that commitment yet…I feel hahaha. Can I work a slow soft lift for gawky and let it long fall? And high pitch punch messiah with my spinning gear? Sorry for the long questions. I just don’t have a mentor to ask in my area. I wouldn’t say it’s impossible to do SPJ by spinning. Anything is possible. But for example, in SPJ actions, you reel as you lift up the rod. It’s opposite from pumping to fight the fish, where you reel as you bring down the rod. You have to do this pumping action to keep the consistent tension and bring the fish up because the spinning does not have enough power. Try SPJ action with the spinning. You will see. Come to fish with me. We have slow pitch jigging tackles to rent. I will be on the boat to show you how it’s done. But summer is not the jigging season. Not much targets and the tide is too strong and multi-layered. Very tough conditions for beginners.